In an effort to provide an overview of best practices around foreclosure intervention efforts, interviews were conducted with lenders and loan servicers that have been actively engaged in efforts to support foreclosure intervention services and partnerships with independent, third-party counseling agencies. 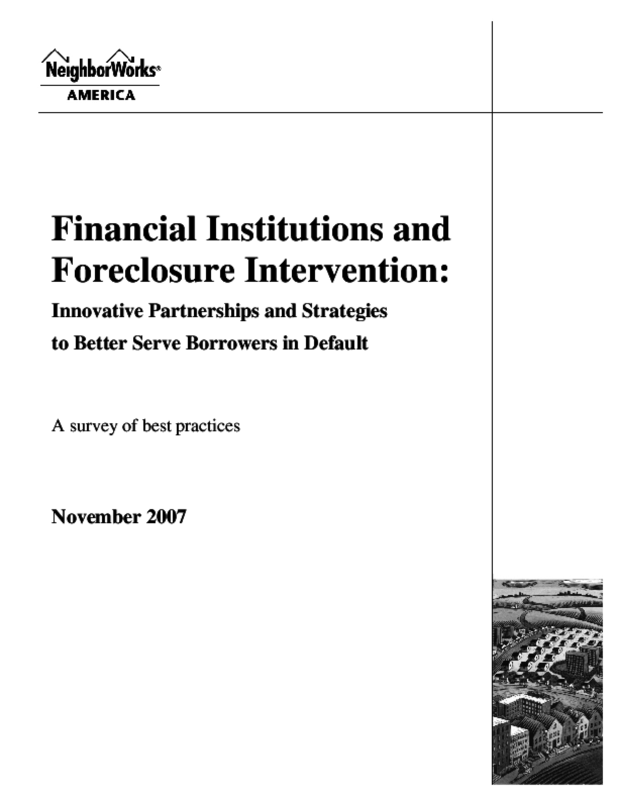 Most agree that in order to better serve homeowners experiencing mortgage delinquency, increased effort should be made not only to reach those borrowers but also at the same time to provide them with access to quality information and counseling services as well as appropriate workout solutions delivered consistently and thoughtfully. This is an industry that has rapidly grown and experienced substantial innovation in the last several years. Servicers and nonprofit service providers committed to reducing foreclosure rates understand the importance of building relationships with each other in order to serve their customer -- the homeowner -- and most strategies undertaken are the result of efforts that require partnership.